DEAL of the Day- temporarily marked down from $15 to $10, today only. Happy beading! 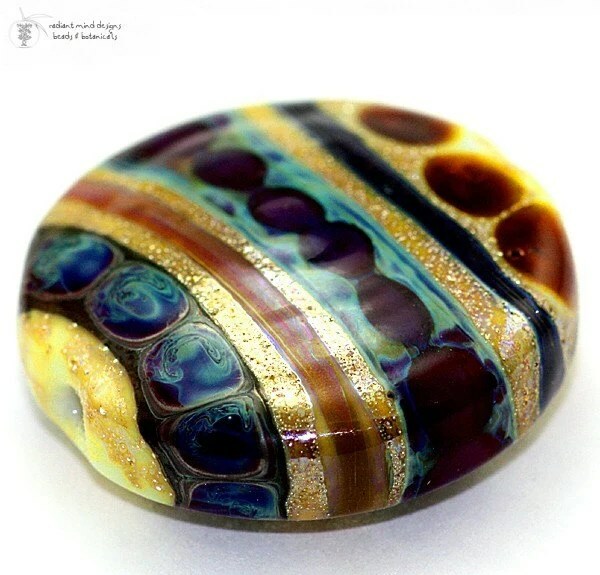 WILD BERRY TRIBAL | Lovely Golden Fumed White with Fine Italian Silver, decorated Tribal Style with Striated and Reactive Glasses in Rustic Coppery Red, Dark Raspberry Plum, Copper Green, Sparkling Goldstone Aventurine, and Blue Aventurine… One (1) Glass Lampwork Button Focal Bead. 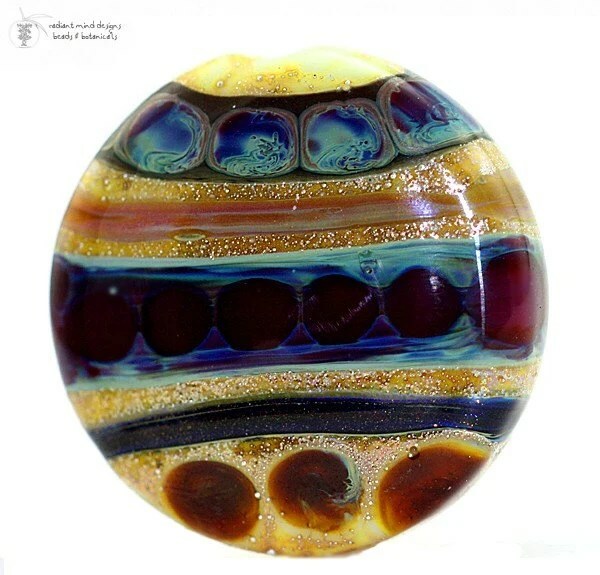 This Glass Button Style Focal is 21-22mm with a 2mm bead hole. 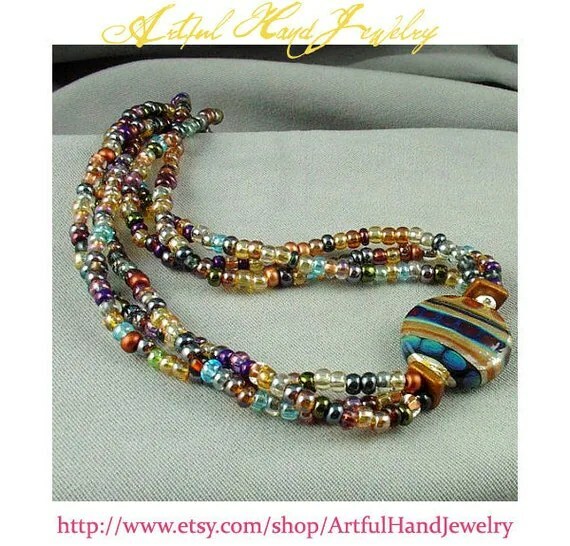 Example Necklace designed by ArtFul Hand Jewelry on Etsy, what will you create? 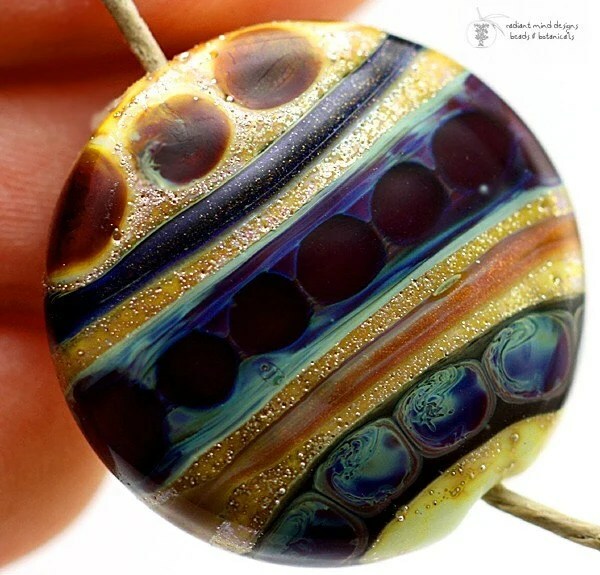 Posted in daily deal, glass lampwork button, lampwork bead daily dealBookmark the permalink.